The three shows include “The Ray Lucia Show” (9-11 a.m.), covering finance and retirement planning issues; “The Dave Ramsey Show (11 a.m. – 2 p.m.), offering ideas on such topics as how to get out of debt and teaching kids about money; and “Sully’s Big Biz Show” (2 – 4 p.m.) with host Bob “Sully” Sullivan. Lucia is known for his “Buckets of Money” retirement strategy. Ramsey’s syndicated show is heard by more than 12 million listeners weekly on more than 575 stations nationwide. 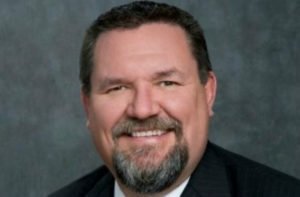 In April 2015, Sullivan, who lives in San Diego, was paired with former San Diego city councilman Carl DeMaio for a weekday afternoon radio talk-show on iHeart Media ‘s KOGO-AM News Radio 600. But, then a few months later in August, Sullivan left the show. DeMaio, a former San Diego mayoral and congressional candidate, has continued to solo host the radio show on KOGO. “The first hour of my show on ESPN 1700 will have a strong business and finance slant, but the second hour is more of the same, but with a `San Diego centric’ focus, similar to my brand on KOGO,” said Sullivan. Sullivan has stayed busy appearing as a guest discussing business topics on KUSI-TV/Channel 9, MSNBC and a weekly contributor on Fox Business Channel. 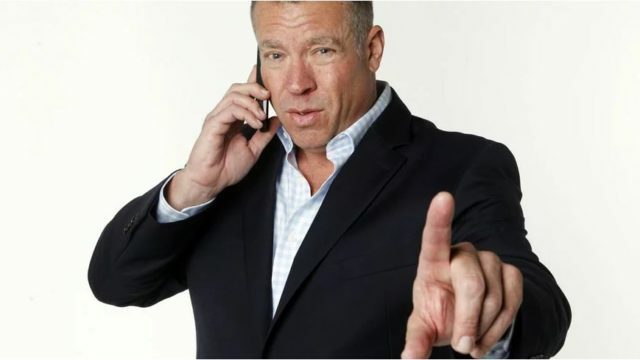 He also has produced a daily business report, called “Sully’s Biz Bite,” a two-minute business-and-lifestyle report heard on iHeart Media and other radio stations. Over the last 20 years, Sullivan also has hosted two national TV shows, including: “The Big Biz Show,” seen in HD in 45 million homes on the Biz Television Network via Time Warner Cable, and simulcast on more than 150 radio stations that carry such networks BizTalk Radio Network and Armed Forces Radio Network; “Sully’s Biz Brew,” seen on the YouTwo America TV Network. Early in his career and prior to his television and radio career, Sullivan ran a number of investment banking firms. Broadcast Company of the Americas operates three radio stations in San Diego, including XEPE-AM ESPN 1700, XPRS-AM The Mighty 1090 and XPRS-FM 105.7 MAX-FM. BCA also holds the radio broadcast rights for the San Diego State University Aztecs football and basketball and San Diego Gulls hockey. Entercom San Diego’s KBZT-FM 94.9-FM, an alternative-rock FM station that is the new radio home for San Diego Padres game day broadcasts in 2017, has named Rich Herrera as senior executive producer for Padres programming. Herrera also will host a pregame show. For the past 20 years, Herrera has worked in sports broadcasting both in front of and behind the microphone. He has hosted local sports shows in Los Angeles, San Francisco, St. Louis, Miami and Tampa Bay, and national shows heard on MLB Network Radio on Sirius XM, Prime Sports, SportsFan Radio, Yahoo Sports Radio, SB Nation and Fox Sports Radio. 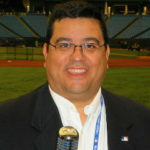 He served as the director of radio operations for the Tampa Bay Rays baseball club, and has worked as a sideline reporter for Sports USA Radio’s NFL and NCAA radio broadcasts. Since Petco Park opened in 2004, Padres games had been heard on all-sports AM station XPRS-AM “The Mighty 1090.” In addition to FM 94/9, Entercom Communications Corp. operates two other stations in San Diego, including KSON 97.3-FM and 92.1-FM and KIFM-FM Sunny 98.1-FM. A clebration of life service for public relations agency executive Bill Trumpfheller will be held starting at 3 p.m., Tuesday, Jan. 17, at San Diego State University in the Conrad Prebys Aztec Student Union. A reception will follow the service. Bill Trumpfheller of Nuffer, Smith, Tucker. Trumpfheller was a large man both in stature and reputation in the San Diego PR and communications industry. He served as president and CEO of Nuffer, Smith, Tucker, regarded as San Diego’s longest-standing local PR. He joined the firm as an intern in 1986 and became its president in 2000. 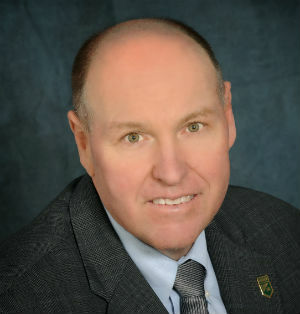 In the community he served on the boards of several nonprofit associations, including San Diego Regional Chamber of Commerce, SDSU’s Campanile Foundation Athletics Committee and the American Red Cross San Diego/Imperial Counties chapter, where he served as board chairman. During his career, he was honored by the Public Relations Society of America San Diego chapter with the Public Relations Professional of the Year, Eva Irving Award for Community Service and Otto Bos Lifetime Achievement awards. He graduated from San Diego State University in 1987 with a bachelor’s degree in journalism. In lieu of gifts or flowers, the family has requested donations be made to The Campanile Foundation, Bill Trumpfheller Scholarship Fund. Donations may be made online or with a check mailed to San Diego State University, The Campanile Foundation, 5500 Campanile Dr., San Diego. NST, founded by Dave Nuffer and Bob Smith, both deceased, on April 1, 1974, has partnered with or represented many of San Diego’s most notable brands and organizations locally, nationally and internationally. Scatena Daniels, a San Diego communications agency that specializes in nonprofits and foundations, has announced it has been named agency of record for five new clients. They include the Biocom Institute Festival of Science & Engineering, to be held March 4 to 12; the Braille Institute, a nonprofit that serves people with vision loss; The School of Entrepreneurship & Technology, a new charter high school in the Serra Mesa area; Terranodo, a technical consultancy specializing in the use of free and open source software and geographic information systems; abd West Health, a nonprofit funded by philanthropists Gary and Mary West.